Bad breath is a common problem, but did you know there are some unlikely culprits? Good oral hygiene is the best way to fresh breath, but it doesn’t hurt to take a few precautions and avoid other causes of this foul problem. Dehydration is a very common cause of bad breath, second only to poor dental hygiene. Not drinking enough water is a mistake most people make daily. When you’re not drinking enough water, your mouth does not produce as much saliva, leading to more bacteria growth—which causes bad breath. So, drink up! Swishing water around in your mouth can also prevent bad breath. 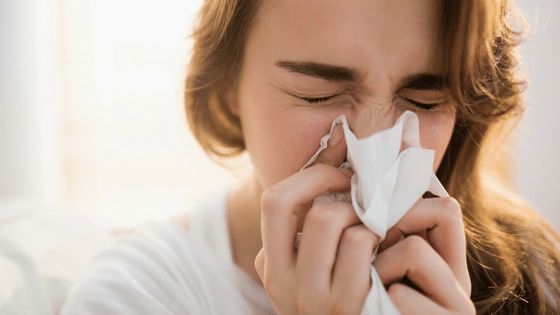 Because of the connections between your nose and throat, a stuffy nose—which usually leads to post nasal drip—causes to bad breath. When your sinuses are blocked, mucus will drain through your throat. That post nasal drip can leave you with a strange taste in your mouth and some smelly breath. Often when bad breath strikes, you assume it was something you ate, but it could just easily be something you didn’t eat. When you go long periods without eating, your mouth dries, saliva decreases, and bacteria growth increases. This bad breath symptom is often referred to as “hunger breath”. You may be surprised that your mouthwash can lead to bad breath. Because most mouthwashes contain a considerable amount of alcohol, which leads to a dry mouth, once the minty taste of the mouthwash is gone, it can lead to bad breath, usually after about an hour. Try switching to a mouthwash with less or no alcohol to avoid this problem.